K Y Z E N . C O M W O R L D W I D E E N V I R O N M E N TA L LY R E S P O N S I B L E C L E A N I N G T E C H N O LO G I E S W H A T I S SCIENCE W I T H O U T CARE? CLEANING is more than just getting the science right. For over 20 years our clients have seen the difference that care makes in all of our cleaning solutions. Because if we don't thoroughly know and understand you first, how can we create the most effective cleaning technologies for your specific needs? 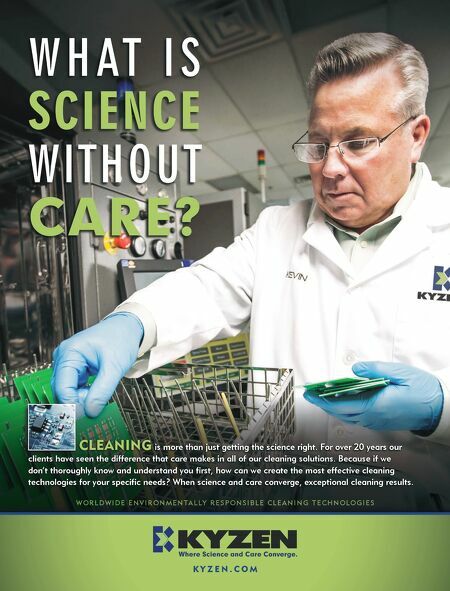 When science and care converge, exceptional cleaning results.